Have You Tried Our Spa? Come check it out and get 15% off your first service! *Not to be combined with any other offers. 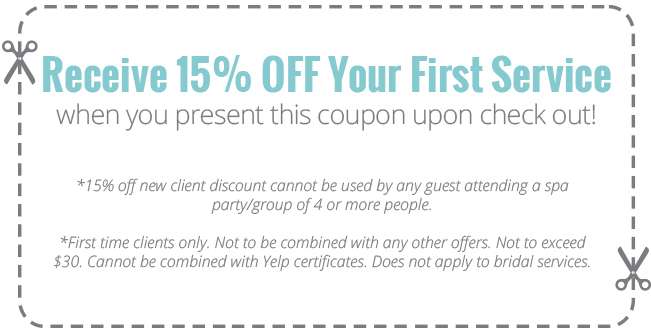 15% discount is for a first time service at The Skin & Body Spa only. Does not apply to bridal services. Receive 10% off when you mention this discount. *Must show ID. Not to be combined with any other offers. Cannot be used for bridal services. Special is off services only & cannot exceed $30.